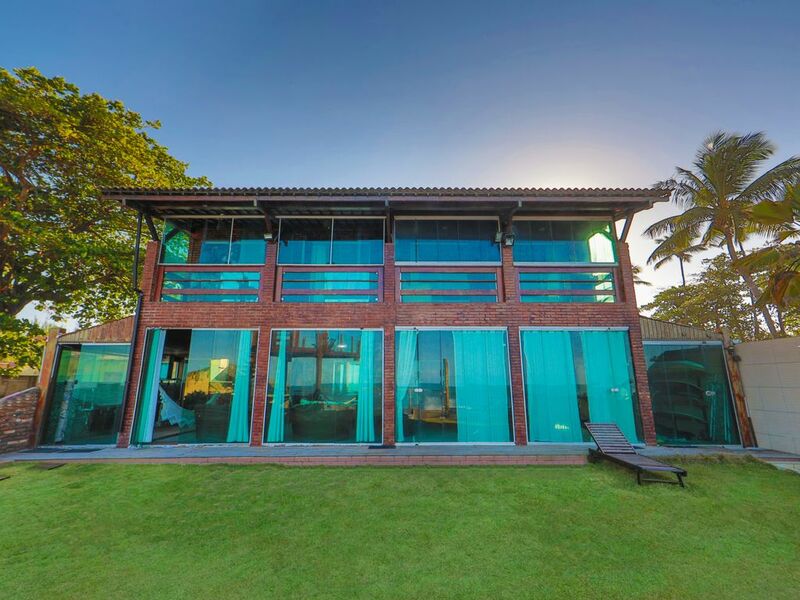 House border sea (Foot in the Sand) in Maracaipe Porto de Galinhas with 03 floors with 03 rooms being 02 Suites on the upper floor with 02 Beds of Couples each suite, Gourmet kitchen complete, 02 rooms with Tables for up to 10 people, 02 Balconies, Lookout 360 degrees with BBQ, Toilet, Jacuzzi with heated cascade, hammocks and comfy sofas! Come relax in a paradisiac place near nature and in front of the sea !!!! Sleeps up to 10 people with entry to the house by the Beach! Privileged location for those who want to relax in front of the Sea with children, ideal for practice Surfing, Kite Surfing, Kayaking, Sea border races, Swimming pools of natural reefs, Mangrove tours to see the seahorses, snorkeling, finally, place to live and relax with family or friends! 03 Bathrooms with shower, being 02 in the suites upstairs and one in the toilet on the ground floor! Natural Coral Pools in Porto de Galinhas and Maracaípe! Great ! !